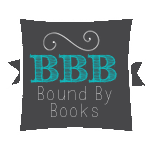 Bound By Books Book Review: Dark Mafia Prince by Annika Martin is LIVE! Dark Mafia Prince by Annika Martin is LIVE! Don’t look at me like that. So trusting. Like you think I’m not a monster. Like I won’t wrap your hair in my fist and bend you to my will. Like I won’t sacrifice you, piece by piece, to save my brother. I’m the most dangerous enemy you’ll ever have because every time you look at me, you see somebody good. That friend who died. And when you look at me like that, I die again. Mira I spent years making myself invisible. A good girl, apart from the noise.